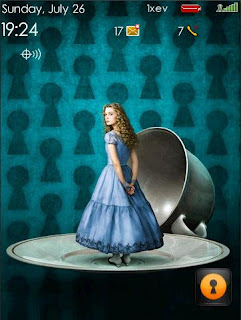 Various Alice in Wonderland Blackberry themes (free registration with site required) for BlackBerry Bold 9000 and Blackberry Storm. Tim Burton's art and movies will be shown at the New York Museum of Modern Art. The show will run November 22, 2009 through April 26, 2010. If you're like me, you didn't notice the house in the background of the scene in the teaser trailer where Alice runs up to the rabbit hole. Turns out it's an 18th Century historic house, Antony House, in Plymouth in the UK, where they also did some filming for the movie. Here it is on Google Maps.